in medias res: Are You Ready For Lent? Are you and your family ready for Lent? 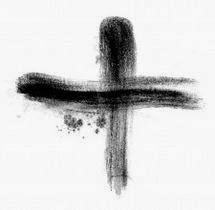 On Ash Wednesday, we will enter the season of Lent. That means we have very little time to prepare ourselves for Lent…. and preparation is an absolute necessity. To benefit fully from Lent we must enter into it with a plan. I know in our house, we are often discussing what we will "give up for Lent" once it has already started! (That's like waiting to buy stocking stuffers on the day after Christmas!) What I hope to do in this article (and in the one next week) is to get us ready so that when Ash Wednesday rolls around we will be able to enter into the Season of Lent fully, not haphazardly. Investigation of the Claims of Christ - For many this season of Lent has been the end of a long journey of faith. If you are at Good Shepherd or any other church, but are not sure what you believe about Jesus ("Is he really God's Son? What does that mean?" etc.) then let Lent be a season when you devote some time and energy to answering your questions. We have several people in our church, including myself, who would love to talk with you about any questions you may have. There are also many good resources out there that may help answer your questions and concerns about Christianity... including this one here. Preparation for Holy Baptism - As the BCP says, in the past many people who had made commitments to follow Jesus and who were yet not baptized, took a series of classes to ready themselves for baptism during Lent. If you've not yet been baptized, I would love to talk with you during Lent about baptism. Also, it is a good time for those who have been baptized to look again at the commitments and ask for God's help to live more fully into them. You could do a personal study or study with some friends on these vows. Click here for that. Confession of Sin - Historically, Lent was a time where those who had sinned in ways that brought scandal to the Church could come to repent and confess and be forgiven. This, as the BCP states, was a time for every Christian to remember the promises of the gospel for themselves: That anyone who comes and confesses will be forgiven. (1 John 1:9-2:2). Perhaps this Lent you could meet with Fr. Tom for a special time of prayer in confession of sins, both past and present, and know what it means to be forgiven by God. Restoration of those who have turned away from Christ in the past - In years past, Lent was a time when those who had walked away from Christ would come back to him, confessing their sins and finding the open arms of Jesus through the loving gospel-preaching of the Church. If you have been away from Church for some time, Lent is a great time for you to come back to Church. Or if you have a friend who has been walking away from Christ, why not pray for them to return to Him this Lent? Why not invite them back to Church? Repentance - Repentance means turning away from sin and turning to God. "Turning" and "change" are key words for understanding repentance. Perhaps this Lent God will call you to turn from something, whether it is an evil thing contrary to his commands or whether it is a good thing you've put above God, and then turn to Him. What is God calling you to repent of? Prayer - Prayer is the basic activity of any Christian. Perhaps this Lent you begin to pray daily? Perhaps you and your spouse will commit to pray together a few times a week? Perhaps you could learn one new way to pray. If I could see anything happen in our church for Lent, it would be that every household would be devoted to prayer. Fasting - "Fasting refers to restrictions on quantity of food and when we consume it." For example, we may fast on a Wednesdays or Fridays during Lent by not eating at all, or we may eat smaller quantities on these days. Many Christians fast on Fridays year round as a way to focus their hearts on Jesus's crucifixion (which was on a Friday), but during Lent it is especially appropriate to do this. Abstinence - "Abstinence refers to the avoidance of particular foods." This is what most people mean when they talk about giving something "up" for Lent. They may give up alcohol, meat, candy, etc. It is very common to abstain from meat on Fridays for Christians. One principle on this: do not abstain from something for the Lord's sake that costs you nothing, that is of no difficulty for you. More on this next week. Alms Giving - Though no explicitly mentioned in the exhortation to a Holy Lent above, alms giving (that is giving to the poor and needy) has been a regular part of Christian piety and of Lent from the beginning. Consider seeking out those in need and giving of your time, talent or treasure. Locally we have several ministries with whom we partner to do this. Check out G4G Ministries, Just Hope, Hands of Hope. Also considering giving a gift to Pastor Asif in Pakistan, Compassion International, or the Walk with Rwanda Campaign. Deepening of Our Dependence on God Through the Gospel - The whole point of Lent is that the gospel would become more precious to us, and that by a fresh embracing of the gospel, God would be glorified in our lives. All of these disciplines listed above work to that end, when the Holy Spirit moves in them. My prayer for you this Lent is that the Good News about Jesus would become for you the Greatest News, that Gospel and the God of the Gospel would be your greatest treasure.